The majority of early press for Olden Yolk probably relies around Shane Butler’s role in Quilt; that’s all well and good, seeing as it’s a good starting point. But, on the band’s latest single, it looks as if Caity Shaffer will get accolades…deservedly so. For the first half of the track, we get a sort of warped pop number, ringing guitars uplifting Shaffer’s voice all the way to the swell of the chorus. What struck me as the finest moment actually comes in at the 1:47 mark, completely changing the time and beat of the track…similar to what my faves Deep Time have done. It’s fleeting, but it’s an interesting touch that elevates the tune in some fashion. The group are set to release their self-titled album on Trouble In Mind on February 23rd. 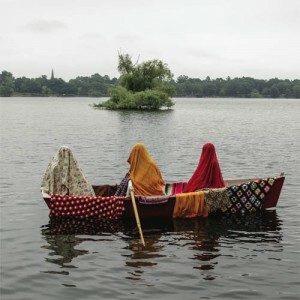 Olden Yolk is the project of Shane Butler of Quilt, and while I love his music (in both realms) I have the utmost respect for his strength as a human. When you click on this song, be sure to visit the site it leads you to, and read the story of Shane’s mother’s passing. It’s led him to release the sign in hopes of both raising money and bringing awareness to mental illness by donating all funds raised to Bring Change 2 Mind. We’ve all got a lot to do to make the world a better place, and this seems like as good a cause as any. As you may know, Quilt are on their way to releasing their upcoming album, Plaza, on February 26th viaMexican Summer.In promoting said album, they’ve released yet another single for us to salivate over, this time in the form of “Roller.” This track is sleek and refined; the guitars take the form of tight knit riffs accompanied by the occasional twang of synth. Of course, the lush vocals of Anna Rochinski bathe the whole psych pop song in a bit of sunshine. While the lyrics may be somewhat scathing, you can’t help but smile and take in the warmth of those vocals, especially when they’re combined with the backing “ohs” of the rest of the band. 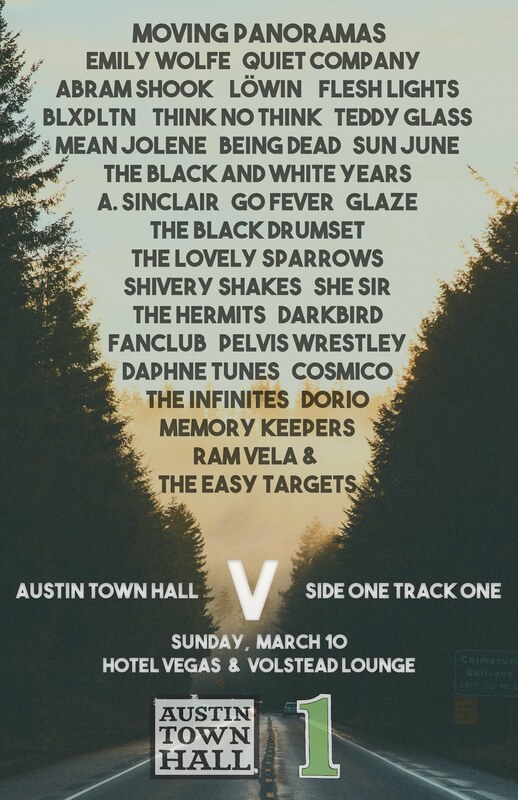 Take a listen and get stoked forPlaza. 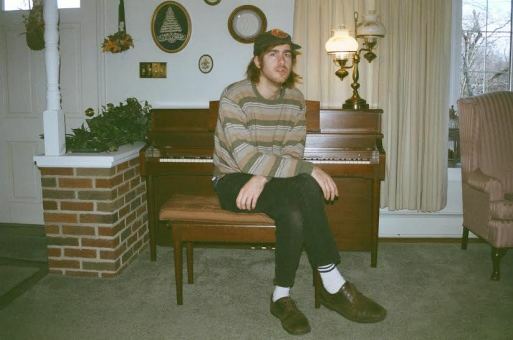 You may know John Andrews from his work as a part of both Woods and Quilt, which he contributed not only his talents in recording, but also in touring with these two acts. Somehow, amongst the hectic schedule of being part of two bands, he has also found time to write and record an album of his own. 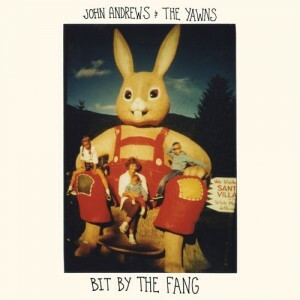 Bit By The Fang is John Andrews and his imaginary backing band’s debut solo album, and it’s packed with lo-fi Americana. 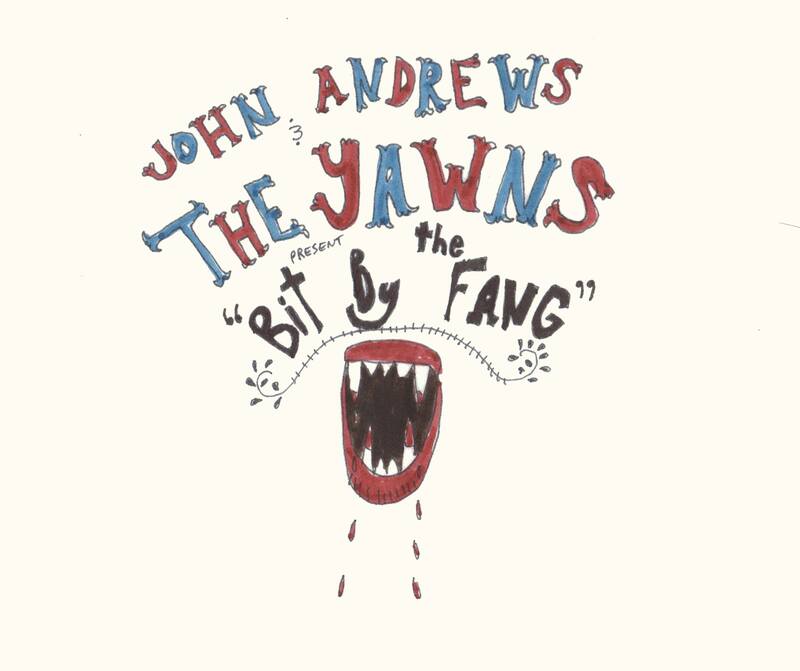 John Andrews and the Yawns have a sound that is difficult to describe. 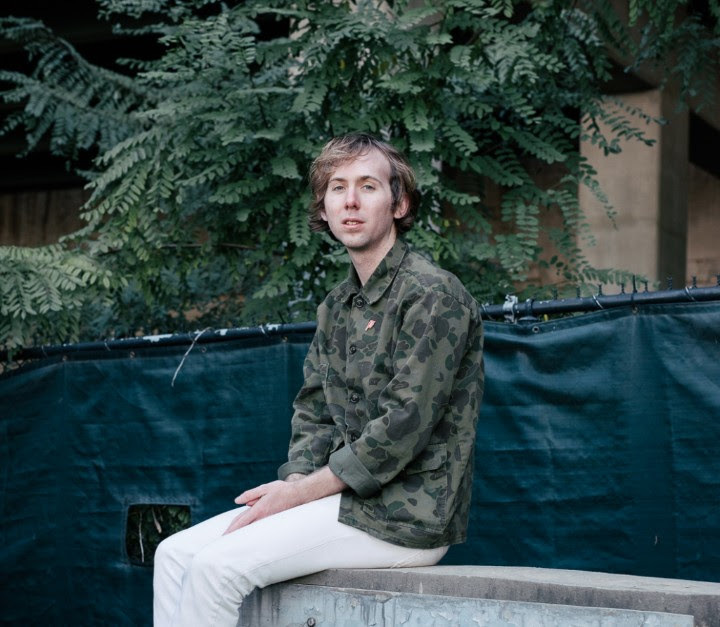 At moments, the music seems to lean towards bluesy rock, and the next you’re made to believe Bit By The Fang is a work dominated by jangly guitar. This mixing of genre, perhaps even in just one song, works well for Andrews, and you can hear this happening from the very start of the record with opener, “Don’t Spook The Horses.” Leading off with that grittily distorted cutting electric guitar, the song blazes in to your headphones and instantly hooks you. Joining that guitar is ragtime piano and Andrews’ feather-light vocals that waft and warble in to the mix. He spins a tale in those echoed vocals, a carnival-esque whirlwind of sound that serves as a wonderful introduction to his solo work. The strongest parts of this album come like bookends at the beginning and the end. As I just discussed, the first track is a great start, and Andrews continues this strong start with “Peace of Mind,” which sways more to the blues side of sound. Its slow-moving rhythm and prominently groovy bass part serves as the core of the song, while that bouncy piano is still there to lighten the track. “Angel,” a brief little piano ditty, echoes that of early 20th century simplistic rag music, but its nevertheless an interesting tune after you’ve grown accustomed to the complex layers that Andrews has thrown your way so far. While the middle of this album listens a little flat, the end picks back up again for the last few tracks. “Quitting The Circus” is a song that is at once eerie and rock’ and roll: the vocals seem extra twisted and somehow slightly sinister while the guitar hits hard and loud, almost drowning out the piano. Last track, “No Gun,” is a music box lullaby that has Andrews posing philosophical questions atop pensive piano, slow and easy. Bit By The Fang is yet another solid release from Woodsist Records, and John Andrews has managed to put his name on my map as a solo artist. I’ll be looking forward to what the future holds for this talented musician, be it as part of another band or on his own. Did you like that Quilt record last year? I did. How about anything ever done by Woods? Me too. 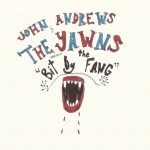 So let’s rejoice in the fact that John Andrews has opted to create another project, John Andrews & the Yawns. Of course, the sound, as evidenced below, will have a bit of folk and Americana, but it’s good to see John step to the forefront for a change. I’m enjoying some of the light touches of horns and strings that fill out the track. 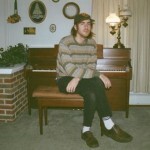 Bit By the Fang, the band’s album, will be release by the folks at Woodsist on April 14th. While the masses revisit the soul of the sixties, the sounds eventually blend together, leaving you with more of a rehash effort than a remaining, but on Quilt‘s new album, Held In Splendor, they make those nods, but they incorporate a more expansive palate, creating a more diverse sound that’s wholly their own. You’ll start your journey with “Arctic Shark,” which comes across as a sexualized stomp with Anna Rochinski taking the vocal lead. You can imagine her swaying in front of a field of friends as the sound of sitar enters the picture, but it’s her flowing melody that really takes the focus. Interestingly, the band are just incorporating bits and pieces of their influences, rather than over-indulging. 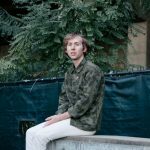 You’ll hear that unfold even more as Held In Splendor moves forward with “Saturday Bride;” the harmonizing alone makes the song worth your time, but it’s the restraint shown in the psychedelia that allows you to see that they’re not willing to allow their own personalities get carried away in reminiscing. I think one of the most successful pieces of the Quilt‘s composition is that they keep songs short and sweet, with the majority of the tracks living beneath the 3 minute mark. Songs like “The Hollow” are short and to the point, yet they’re actually filled with multiple musical movements within. This track begins as a bit of a casual poet’s ballad with intricate guitar playing being enforced by string arrangements, yet the pace is adjusted as the drums push the song forward just a bit. These mini-movements are what allow the group to keep their music impactful, without wearing you thin with too many historical references. 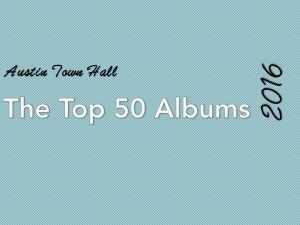 Personally, I think my favorite tracks are those with a traditional balladry to them, such as “Eye of the Pearl” and “Talking Trains.” The former is a steady number with a great vocal performance, emphasized by a nice backing vocal that’s draped directly atop the main vocal. And while the latter is a ballad, the guitar has a darker tone, which is more fitting for Rochinski’s vocal performance. Both songs represent the fact that simplicity often requires more skill in order to make the songs standout, and in the case of these two songs, it’s true. 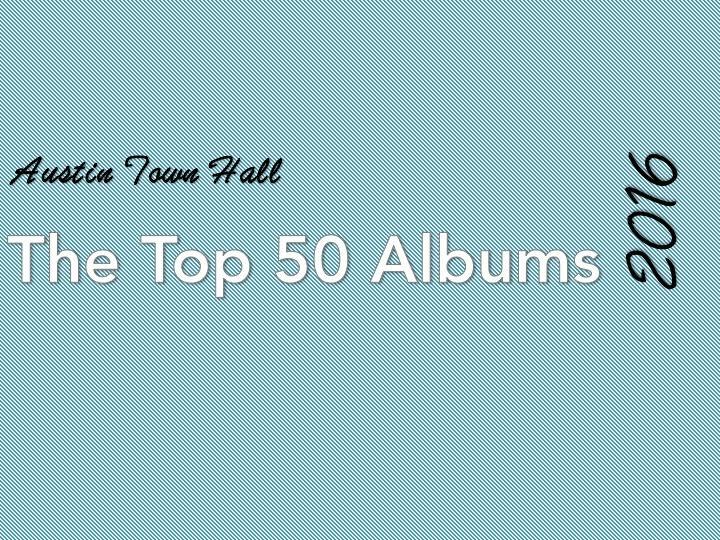 While the genre of psychedelia and paisley-influenced jams allows many of us to revisit our favorite musical era, the realm of that genre can often get tired and wearisome, treading over itself far more often than going in new directions. That being said, Held In Splendor doesn’t get bogged down in nostalgia, instead using it as a launching off point for Quilt‘s dynamic songwriting process. It’s a listen draped in history, but pushing us forward towards a new future…you’ll like where you end up.